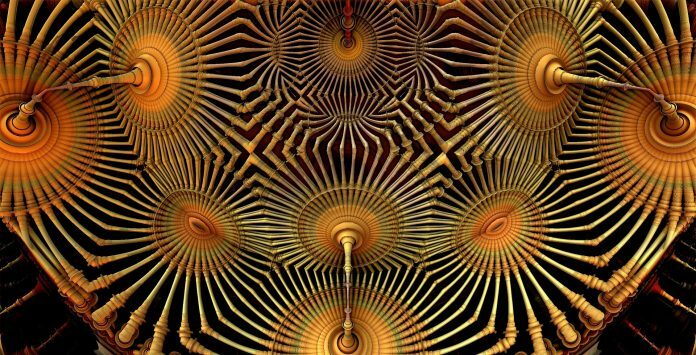 Quantum computing is one of the hottest topics in computer science. With D-Wave Systems releasing the first commercially available quantum annealer in 2011 , there is now the possibility to develop practical quantum algorithms for solving complex optimization problems. In this article a hybrid quantum solution method for the Capacitated Vehicle Routing Problem is presented. Figure 1: Overview of the CVRP and the 2-phase-heuristic. (a) Initial state with 9 customers and 1 depot. (b) Clustering phase results in three clusters found. (c) Routing phase determines shortest path inside each cluster . 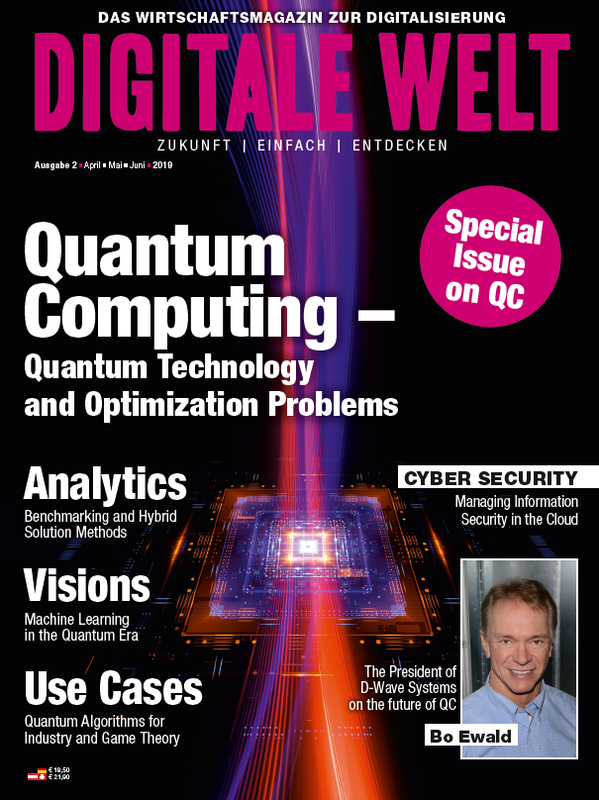 With D-Wave Systems releasing the first commercially available quantum annealer in 2011 , there is now the possibility to find solutions for such a problem in a completely different way than classical computation does. However, quantum computation compared to classical computation is still in its infancy and one of the major problems is that quantum hardware is limited regarding the number of quantum bits (qubits) and their connectivity on the chip. Generally, this leads to difficulties in solving large (real-world) optimization problem instances on the hardware. Therefore hybrid methods will be increasingly used for solving complex problems with quantum annealing algorithms. It can be useful to split these problems into sub-problems and thus outsource the complex part to a quantum annealing hardware. In this article an intuitive way to split the CVRP into smaller optimization problems by taking advantage of a classical 2-phase-heuristic  is presented (see Figure 1). The heuristic divides the CVRP into two phases, the clustering phase and the routing phase. The clustering phase itself can easily be computed by a classical clustering algorithm (e.g. modified k-means algorithm), which tries to group the customers into capacity restricted clusters. Doing this, the Euclidean distance between customers assigned to a cluster should be minimized. The routing phase can be represented by the well-known NP-hard Traveling Salesman Problem (TSP) . Thus, the minimal tour in which all customers of a cluster are visited once is sought. Doing this, the tour starts and ends in one place, i.e. the depot. In Figure 1 a CVRP example with the 2-phase-heuristic is visualized. First the customers are grouped into clusters (b) before efficient vehicle routes in each cluster are calculated (c). D-Wave’s quantum annealing hardware is known to solve a specific optimization problem called a quadratic unconstrained binary optimization (QUBO) problem . QUBO is a unifying model which can be used for representing a wide range of other combinatorial optimization problems, to which also the TSP belongs. In this article a hybrid method based on the 2-Phase-Heuristic to solve the CVRP using a quantum annealer is proposed. While the clustering phase is computed classically, the routing phase, i.e. the TSP, is solved on the quantum hardware. The most obvious difference between quantum and classical informatics is the so called state principle. Quantum particles can reside in multiple states, such as having different locations, energies, or move in different speeds. Additionally, in quantum mechanics, such particles adopt not only one, but multiple states at the same time. This behavior can be illustrated by thinking of quantum particles as waves that can overlap, extinguish or amplify one another, just as known from classical physics. One property of quantum bits (qubits) is called superposition and describes the ability to reside in two states simultaneously, hence be in the state 0 and 1 at the same time . The difference between the two computing systems gets even more clear with multiple (qu)bits: A classical computer can represent 2n different numbers with n bits, but only save one of them at a time. A quantum computer, however, can represent the same amount of numbers with an equally amount of quantum bits, all at the same time . Another property that is not consistent with our classical view on physics is called entanglement. The manipulation of one entangled bit can affect the measurement of another bit. 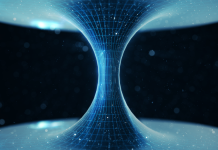 More interestingly, this behavior does not require the two qubits to be in direct contact, and is therefore the basis of research concerning quantum teleportation . with x being a vector of size n with binary variables, and Q being an n×n real-valued matrix describing the relationship between the variables. Given matrix Q, the annealing process tries to find binary variable assignments to minimize the objective function stated above. The metaheuristic quantum annealing itself, seeks for the minimum of the optimization function, which corresponds to the best solution of the defined optimization problem. As one can see, the best case – with the lowest energy – is in case 2, where exactly one position is assigned to customer A. This is also the only valid solution. In the other cases (also in case 4 and 5, which were omitted) the penalty value A is added on top of the system energy, which defines a solution as invalid. The second constraint of HA can be regarded analogously. In this article, a hybrid approach for solving the capacitated vehicle routing problem (CVRP) using D-Wave’s quantum annealing hardware was provided. The most important step was to find an intuitive way to map this optimization problem to a QUBO problem that could then be embedded on the quantum annealer. Doing this, the classical 2-phase-heuristic has been used, which enables to divide the complex problem into a clustering phase as well as a routing phase. The solution method was tested and compared regarding the solution quality as well as the computational time. The results can be found in . We showed that the hybrid approach was able to compete with other classical construction and 2-phase-heuristics and in some cases even surpass them with regard to solution quality. However, it should be mentioned that there are other solution methods like metaheuristics, which provide a better solution with regard to some of the used benchmark datasets. The computational time of this solution method must be considered differentiated. Due to the currently limited number of available qubits on the D-Wave processor, the tool QBSolv must be used for large QUBO problem instances. This tool makes it possible to split the QUBO into smaller subQUBOs and place them one after the other on the quantum annealer. However, this hybrid solution option involves certain latency and waiting times which lacks the hoped acceleration of the computational time compared to the classical option. However, the real solution time for an embeddable QUBO problem on the D-Wave quantum annealer is located in the range of microseconds. At the 2018 D-Wave Qubits Europe users conference D-Wave provided an outlook about the future hardware directions of quantum annealing. They stated that the connectivity and the number of qubits on D-Wave machines will immensely rise over the next years . This news give hope that in the future D-Wave’s quantum annealers are more suitable for these kind of optimization problems and a shorter total computation time can be achieved. Feld, S., Roch, C., Gabor, T., Seidel, C., Neukart, F., Galter, I., … & Linnhoff-Popien, C. (2018). A Hybrid Solution Method for the Capacitated Vehicle Routing Problem Using a Quantum Annealer. arXiv preprint arXiv:1811.07403. 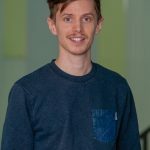 Christoph Roch is doing his PhD at the LMU Munich at the Chair of Mobile and Distributed Systems with a focus on optimization problems and their solvability by quantum computing. Additionally the computer scientist is a member of the Quantum Applications and Research Lab (QAR-Lab) and contributes his knowledge to various industrial projects, research and teaching. Stefan Langer is doing his PhD at the LMU Munich at the Chair of Mobile and Distributed Systems in the sector of quantum computing. 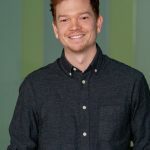 In-between his master’s study in media informatics and his work as a researcher, Stefan has worked as a software engineer for a supplier of indoor positioning technologies for several years. Nächster ArtikelEntwicklungen in der Bedrohungslandschaft. Wie es im Jahr 2018 um die IT-Sicherheit der europäischen Unternehmen bestellt war.